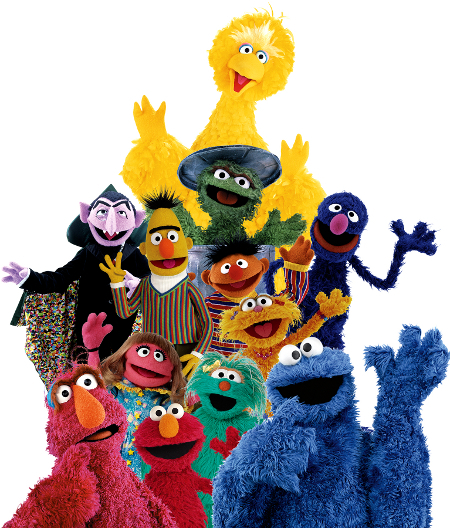 Sesame Street is a pre-school TV show produced and filmed in the USA by the Public Broadcasting Service (PBS), although the show is very popular outside of the US as well. The show features a group of human actors who interact with puppet characters created by Jim Henson to educate and entertain young children. Sesame Street’s history began back in 1966 when Joan Cooney, a children’s TV education producer, Lewis Freedman, Cooney’s boss, and Lloyd Morisett, a psychologist working as grants officer for the Carnegie Trust met to discuss the development of a new educational show for pre-schoolers. Lloyd Morisett was most interested in providing educational materials to children from low income and minority homes. Television had already reached a 97% saturation level in the USA and amongst pre-schoolers was very highly watched. This seemed like an ideal platform to use in the Carnegie Trusts goal. Taking three years to research and come up with the eventual concept, the researchers tested their content and presentation to produce a formula almost guaranteed to keep a child’s interest, and at the same time add some subtlety that would appeal to their parents. Jim Henson’s puppets were instrumental in making Sesame Street a success. Filmed in New York, the producers also made a daring decision to use a brownstone street background which they believe was more realistic to the majority of children being targeted. 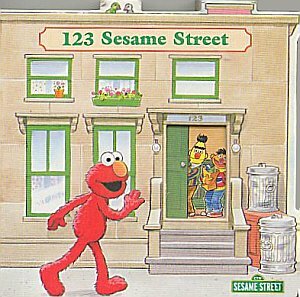 Sadly the good intention had the effect of alienating some parents at the time who considered Sesame Street too low class and didn’t want their children exposed to ghetto accents although the brownstone look did allow the show to connect with inner city kids. Sesame Street finally had it’s full debut in 1969 on National Education Television (NET) and featured Ernie and Bert, Big Bird, Gordon, Susan, Bob and Mr Hooper. A few months later NET was merged with a local station and it’s best shows such as Sesame Street were transferred to PBS where it has stayed to this day. Over the years since 1969 Sesame Street has seen numerous lineup changes and the introduction of a full family of Muppets, some of the most popular being Elmo, Kermit the Frog, Cookie Monster, Oscar the Grouch, and Frazzle. In the history of children’s television Sesame Street is now one of the longest running and currently produced shows, second only to the Disney Anthology. The show has also won the Emmy for most outstanding pre-school series several times.